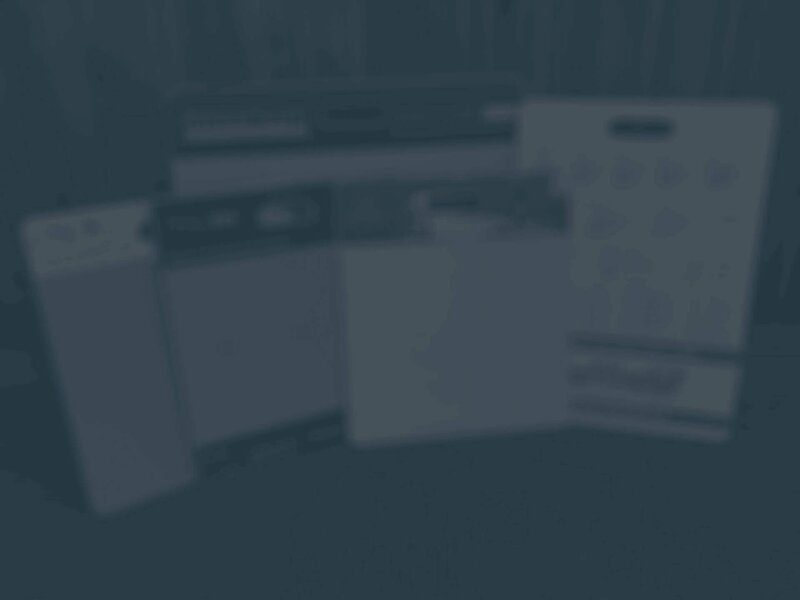 Personalize your sample boards to include your company's brand, contact information, website domain and more! 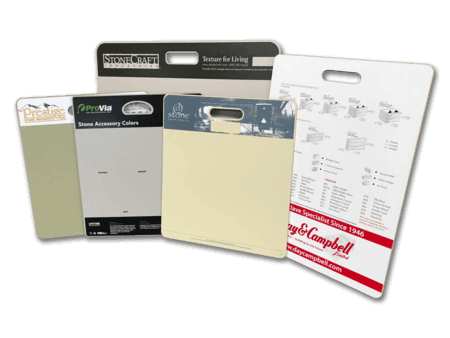 Our custom boards are a great way to keep your branding consistent between all of your marketing & advertising materials. 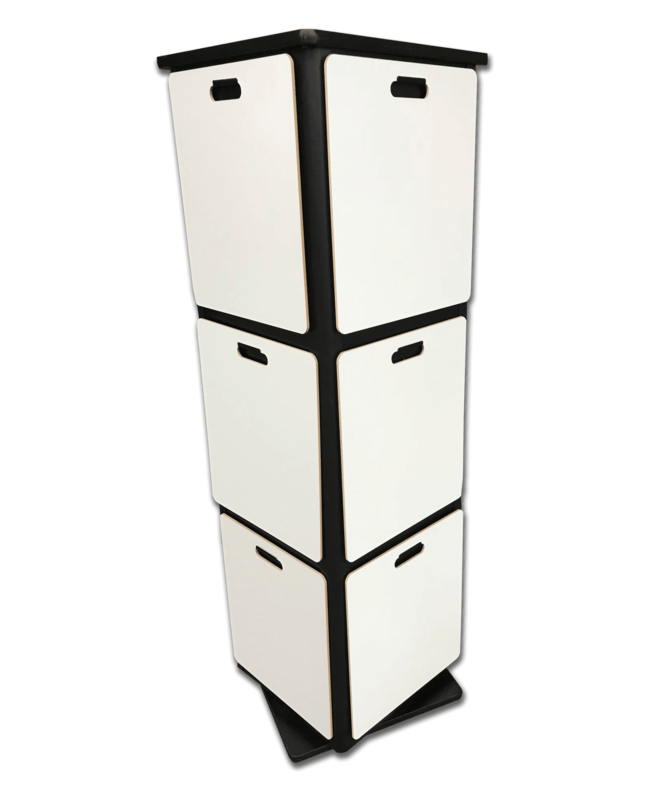 Display samples of your products in a neat, uniform way that is easy for your customers to use! 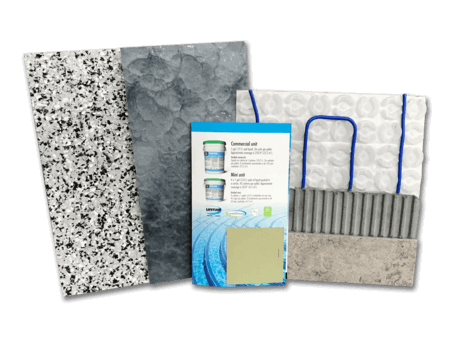 You don't have to worry about losing samples or carrying around tons of samples with our boards! 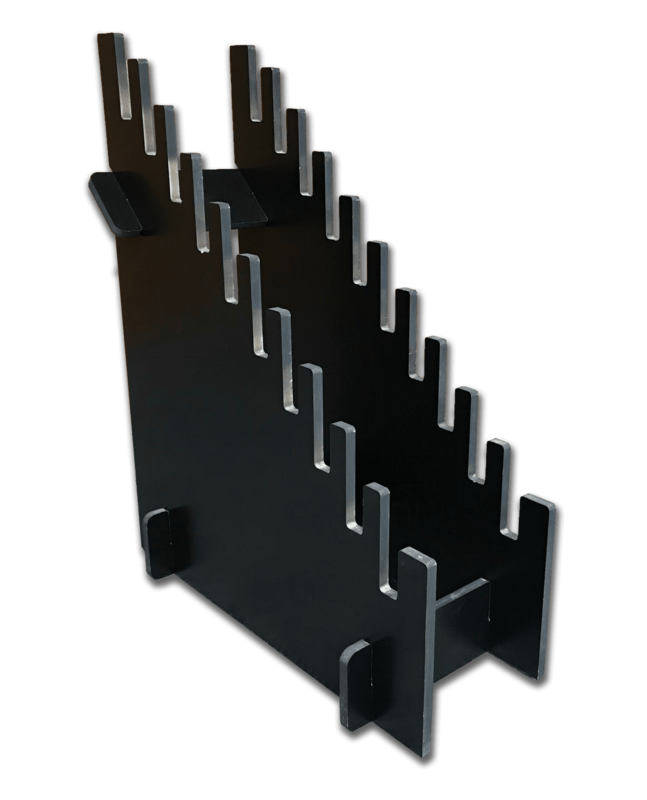 Keep all your sample boards on display on one rack to save space and provide an easy shopping experience for customers! Choose the right rack for you! 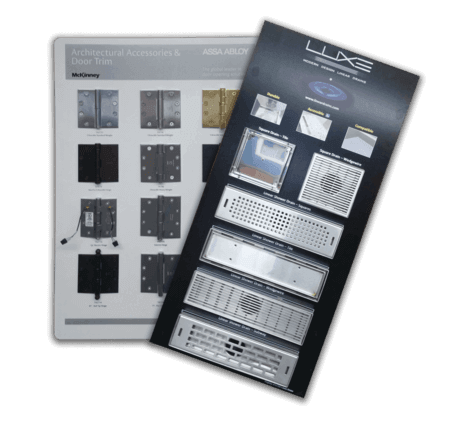 Display your product and all its working parts with our product sampling boards! You can show the inside and out of your product so your customers can get a better understanding of how it works! 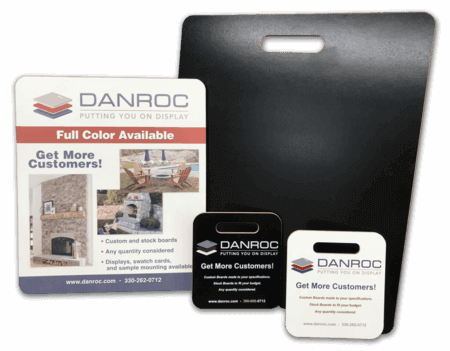 Request a complimentary sample pack today so you can truly see our Danroc quality! 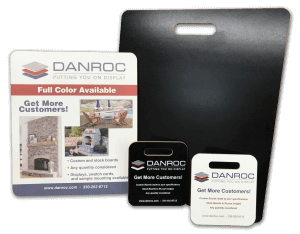 Danroc Corp. is your dependable source of custom sample and display boards for the stone, tile and other applicable industries. 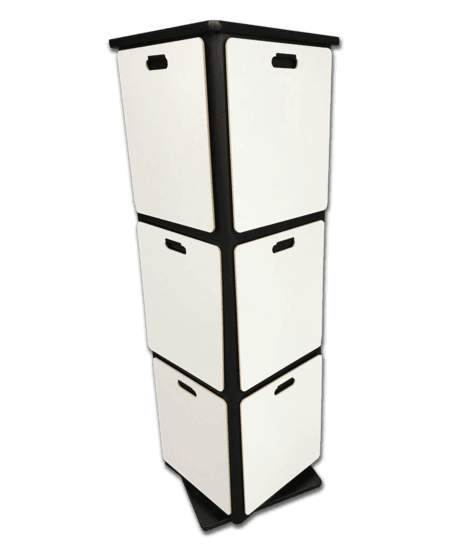 We manufacture custom & stock sample boards, as well as display racks with high-quality service at the best value. We stress quick turnaround time & fast quoting! 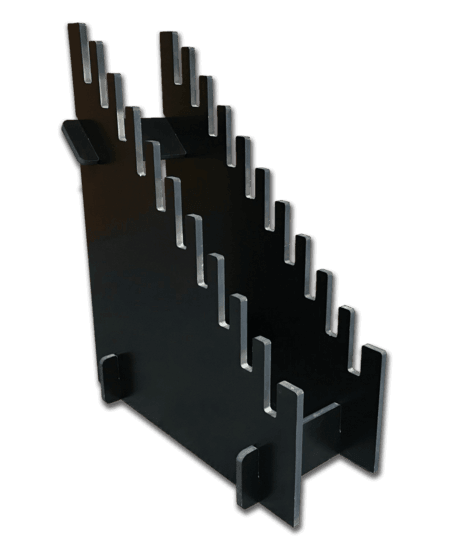 In addition to making the sample boards, Danroc can mount your samples for you. We routinely mount hardware, flooring, tile and trim to sample boards. We have warehouse plans and can handle custom packing as well as kits if needed. If your product needs to be sampled, contact us today! We can help you get more customers and close more deals. 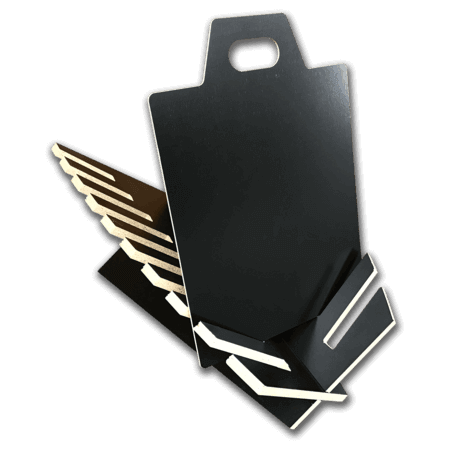 We have over 25 years of experience printing on unusual items including 3-dimensional metal pieces, certain plastics and many types of wood panels. Call for a quote today! Looking for a vendor to CNC route wood or plastic panels to spec? Give us a call and let’s find out if our CNC routing services are the answer. We’ll work to meet your production schedule and quality standards.